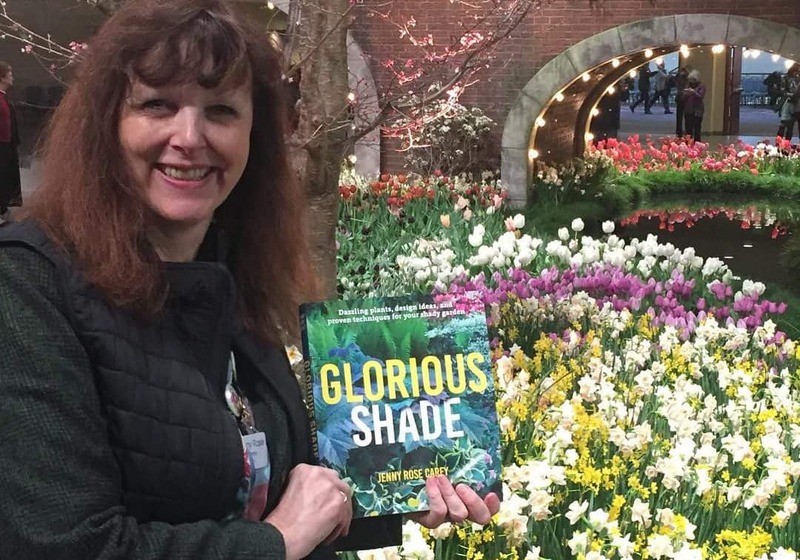 Join Jenny Rose Carey, Senior Director at PHS Meadowbrook Farm in Jenkintown and author of Glorious Shade, (Timber Press, 2017) as she discusses tips and tricks to develop or improve your shade garden. Learn which native shade-loving plants Jenny particularly loves and how she combines them for beautiful effects. Also, learn how to manipulate the amount of shade that you have and how to improve your soil. Jenny Rose Carey is a renowned educator, historian, and author, and the senior director at the Pennsylvania Horticultural Society’s Meadowbrook Farm in Jenkintown. She previously worked at Temple University for over a decade, first as an adjunct professor in the Department of Landscape Architecture and Horticulture and then as director of the Ambler Arboretum. Jenny Rose has been lecturing nationally and internationally for many years. She is an avid, hands-on gardener who has gardened in both England and the United States. Her Victorian property, Northview, contains diverse garden spaces, including a shade garden, moss garden, and a stumpery. Jenny Rose and her gardens have been featured on the PBS series “The Victory Garden,” in the Wall Street Journal, Philadelphia Inquirer, Green Scene magazine, and the Pennsylvania Gardener. Online registration for this program is closed. For space availability and to register for this event, please call 215.862.2924. Additional Information: Online registration for this program closes two days prior to the event. After July 11, please call 215.862.2924 for space availability and reservations.